Waterless Wash is good for light dust, fingerprints, etc. It has a very small amount of shine enhancements. The use is in the name...no water needed, just spray from the bottle and wipe away with the WW towel(s). Rinseless Wash is good for dirtier cars, but not the caked on crud. It's best used with a bucket of water and several towels (Double Softs work great). Again, use is in the name...water is needed, but no rinse. Just wipe with a wet towel and buff away residue. If you want, you can also dilute RW 16:1 for a Waterless Wash-like solution at a more economical price point (but it doesn't smell as good IMO). 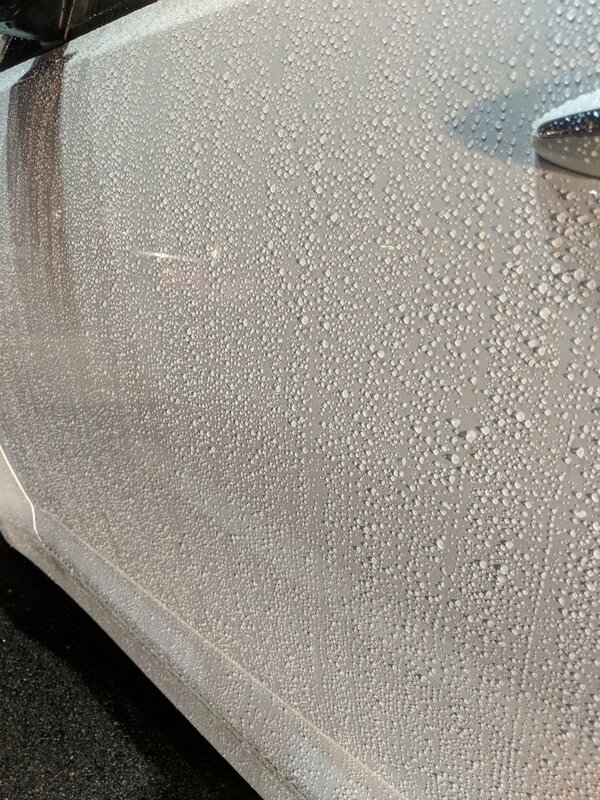 Ceramic Waterless is similar to regular WW, but it has 7% silica so is ideal for ceramic coatings like yours or in conjunction with other silica infused products. I have Ceramic Paste Wax on mine and LOVE the combo. The Ceramic Waterless is quickly moving into my Top 5 from Adam's. Either WW is great for in-between wipe downs, with the Ceramic more suited for your coating. RW is better served for "heavier" cleanings, but again, not caked on. You could follow regular WW with Boost, but the Ceramic Waterless has silica (7%) and it was built to compliment coatings like yours. I'd recommend you use the ceramic and follow with Boost every month or so. 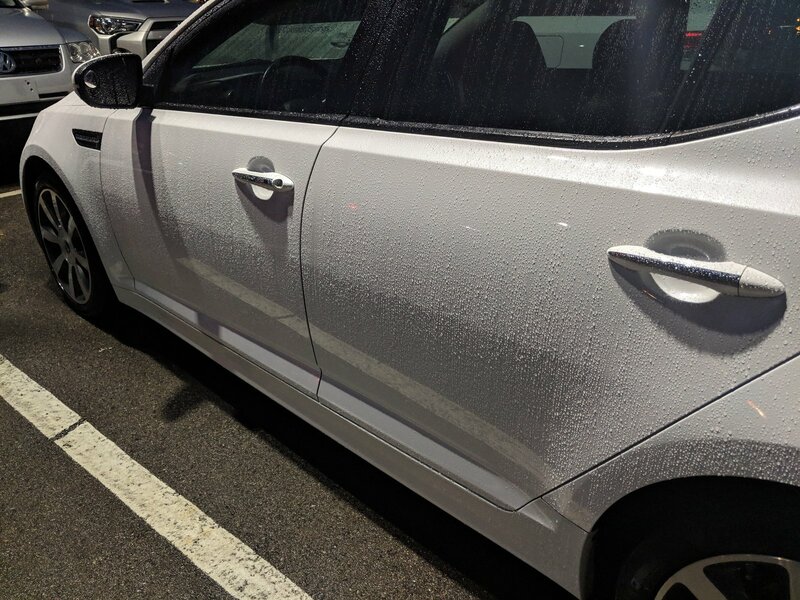 Here are a couple pics of a Ceramic Paste Wax base (applied in Nov) and one takena couple weeks ago showing one use of the Ceramic WW a day or two prior to the pics. I was thrilled with the beads!!! how about following up with regular detai spray on top of WW like when at an all day show for a quick touch up? For a non-coated, sure. Also consider BG last. For your coated vehicle, I'd recommend the ceramic WW for a quick clean and shine, then BG for extra wow. Sure. HGG #1, then no particular order, TRC, W&W, and original APC (don't have the new one yet, don't care for Eco). BG is just outside. That is correct on the H20 Guard and Gloss and WW is Waterless Wash, while W&W is Wash and Wax. According to which browser you are using, when you hover any of the abbreviations, it will show the full name associated with it. so go with BG on top of coated vehicle instead of detail spray? or buttery wax on top of coated vehicle? I have actually been using HGG on my truck till I get a day or 2 to properly prepare for the ceramic coat.